Bela Lugosi enjoyed a second wind of popularity after his remarkably subtle and affecting Ygor in Son of Frankenstein (1939). Universal offered him a five-year contract and he was suddenly in demand again for press interviews and public appearances. In this boom period, his services were requested over in England for producer John Argyle in The Dark Eyes of London (released in America as The Human Monster in a distribution deal with poverty row studio Monogram). 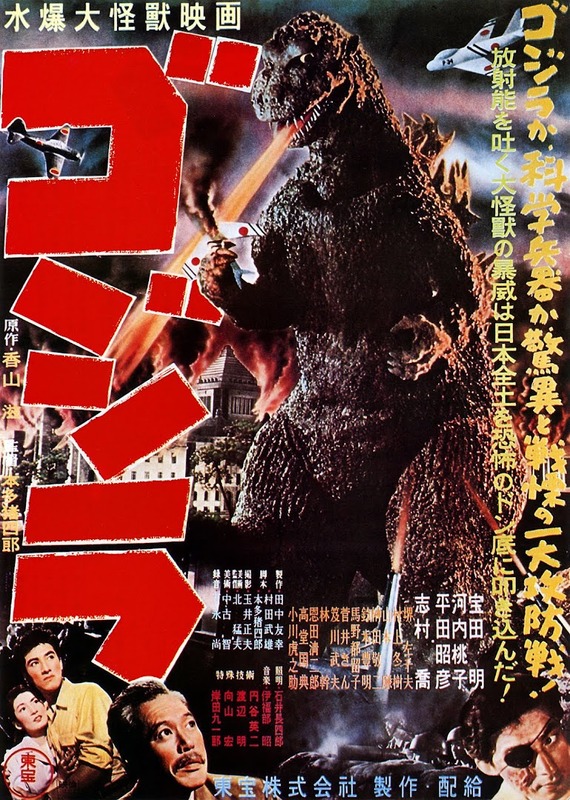 It was a chance for British studios to capitalise on the brief late Thirties gap in the market while Universal had temporarily stopped making horror films – before their own second wave took effect with the aforementioned Frankenstein sequel. Directed by Walter Summers, the film was adapted by a team including Argyle from a crime scam novel by Edgar Wallace and it shows – the resulting picture is an uneasy blend of a detective plot with horror undertones inserted. Argyle exploited the combination of London and Lugosi to the limit as the opening credits show. The unmistakeable Tower Bridge is superimposed upon by the dark penetrating eyes of the Hungarian horror star. A body is washed-up floats in the Thames and immediately we’re off to Scotland Yard presided over by Commissioner George Street who governs it with a monocle and stiff patrician acting style more suited to the last outpost of the British Raj. Luckily, his men offer a more relaxed approach to police work in the form of Det. Insp. Larry Holt (Hugh Williams) and the looser American naturalism of Edmon Ryan’s Lieut. O’Reilly freshly drafted in from Chicago to study British crime-fighting and hopefully boost the U.S. box-office. The Commissioner blithely insults Holt with the baby-sitting assignment - ”I’ll attach him to you then he won’t learn anything” - presumably while he nips off to shoot a few tigers. Lugosi is then introduced in that most terrifying of horror movie locations: an insurance office. As Dr Orloff, he owns the Greenwich Insurance Company and has just cut a cheque for a business colleague Henry Stuart (Gerald Pring). 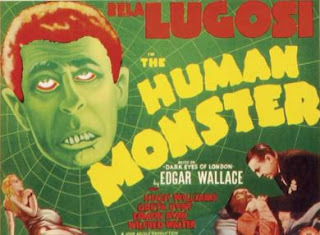 Lest we worry this is a film about pen-pushing and premiums, his warn manner suddenly switches to the signature hypnotic Lugosi stare and for some reason he orders Stuart to visit the Dearborn Home for the Blind where he may “learn the joy of giving…charity”. Social historians may be interested by the film (or period)’s depiction of attitudes to disabled people; the rest of us might simply wince at the level of condescension on display. The white-haired, shade-wearing Dearborn labels his sight-impaired residents “these poor creatures” – and also regards them as mentally disadvantaged. His institute is a bleak, wooden-benched Dickensian workhouse where his charges are either shambling zombies or engaged in the clichéd basket-weaving associated with convalescing Victorian asylum patients. If it’s real mental aberration you want, try looking upstairs where Orloff cooks up unspecified scientific experiments assisted by his (as it were) splendidly disfigured slave Jake, a thankless but vivid role played by Wilfred Walter. Jake bears a friendly name yet his sightless upward-staring eyes, gruesome fanged underbite and heavy eyebrows denote a barely-controlled bestial weapon in the service of, you guessed it, Lugosi and Dearborn - one and the same. The intrepid detectives banter their way around the city, trying to stem the unsettling volume of drowned bodies dumped in the Thames, gradually making the connection between the deceased and large-scale policies taken out with Lugosi of London. Along the way, they save Stuart’s daughter Diana (the beguiling Norwegian Greta Gynt) from a home intrusion by Jake, only to be trussed up in Orloff’s institute back-room for a second go at stifling her suspicions. Orloff has already taken his work home with him by undertaking some personal loss-adjustment on his former gopher Dumb Lou (Arthur E Owen) courtesy of a forebidding wall of levers, gauges and near-fatal electricity doses. It comes as no surprise that his past conceals a medical degree hampered by a wide streak of embittered megalomania. His current experiments in the loft other than barbecuing his benefactors though are anyone’s guess. No matter, for Orloff’s space houses a drowning tank and huge warehouse doors that open handily onto the Thames for disposing of his human paperwork. Foolishly he reckons without the tender relationship Jake had built up with Lou. On discovering his boss had tortured then killed his only friend, Jake turns on his master, literally, in an illogical climactic moment just in front of the open doors. Orloff pauses after spinning him to come face-to-face when surely his wisest self-preservation would be to push his homicidal henchman out of the window. Still. Jake manages to spare us any more of the awkward dubbing by O.B. Clarence of Lugosi’s voice as Dearborn which continues sloppily even after Lugosi’s true identity has been revealed. He survives a gun-shot wound from Orloff long enough to dump his employer into the quicksand-like Thames mud-flats, leaving the tardy ‘tecs to arrive at the scene only in time for the clean-up. 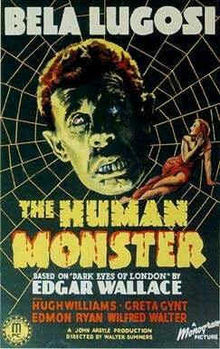 For all its clumsiness, The Human Monster did at least offer a ripple of historic interest; it was the first British horror film to be fully attributed with the new British ‘H’ for horror certificate. (The H label given to 1934’s The Ghoul was purely advisable rather than legally enforceable – see my earlier review). This categorisation wasn’t likely to restrict its dubious box-office potential though. America’s later X and NC-17 ratings would limit some release’s chances due to a blanket ban by some theatres and video outlets of controversial adult content, but this type of low-budget horror flick in 1939 would only be presented by the less discerning ‘fleapits’ anyway.